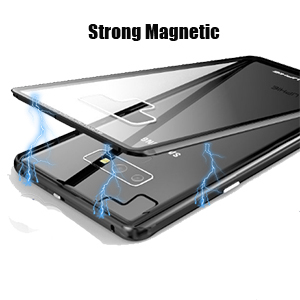 Magnetic Adsorption,strong magnetic field adsorption technology make this magnetic absorption phone case unique and innovative. it takes your endless fun to assemble and remove, close the phone case. 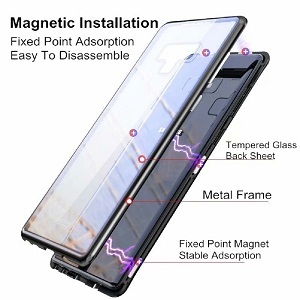 Made of premium 9H tempered glass, protect from scratch, dirt and bump. Wireless Charger.You don’t need to take off your phone case when you charge, it doesn’t affect your charging, it is very convenient. 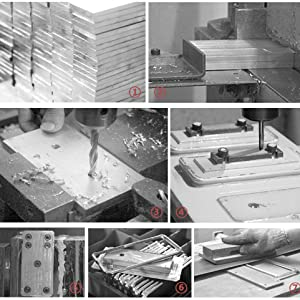 Carefully crafted each process to produce high quality products from high quality aluminum Design with fashion trends to adapt different age and gender for women and men, it is no doubt the best gift for your families and friends. 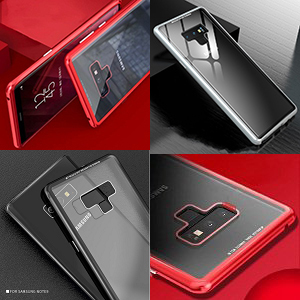 Neutral Design for Men & Women: Note 9 Cases Design with fashion trends to adapt different age and gender for women and men, it is no doubt the best gift for your families and friends.